It’s a saying whose provenance is unclear: “The golden age is before us, not behind us.” Taking a glass-half-full attitude is sometimes hard to do when so many things appear to conspire against us, yet it doesn’t take an eternal optimist to acknowledge that we are in the midst of a golden age for horse racing’s fillies and mares. This blog previously highlighted their performances in 2009 and 2010, and once again in 2011, on every continent that horse racing is contested, a filly or mare won at the highest level against male competitors. Still, American owners and trainers rarely contest these open company events, much to the detriment of racing and its fans. Thankfully, owner Rick Porter and trainer Larry Jones gave us Havre de Grace who thrilled with her battles against Blind Luck early in the year, before turning her attention to defeating males in the G1 Woodward. Although she could only manage a fourth-place finish in the G1 Breeders’ Cup Classic, Havre de Grace should rightly earn the 2011 Eclipse Award for U.S. Horse of the Year, following in the hoof prints of the great Zenyatta (2010) and Rachel Alexandra (2009). 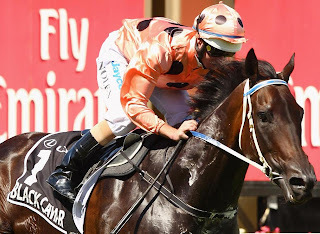 Yet, internationally, fillies and mares clearly dominated 2011’s headlines, led by the Australian superstar Black Caviar, an undefeated phenomenon (16 straight victories) whose fame now has transcended her sport—and led to her own website. She’ll take on the world in 2012, beginning with Royal Ascot in June. Six times this year she defeated males in open company G1 races, including the prestigious Newmarket Handicap, first contested in 1874. Black Caviar wasn’t the only remarkable Aussie mare to capture a classic race. Pinker Pinker upset the Cox Plate, while Southern Speed took out the Caulfield Cup and Sacred Choice won the Doncaster. 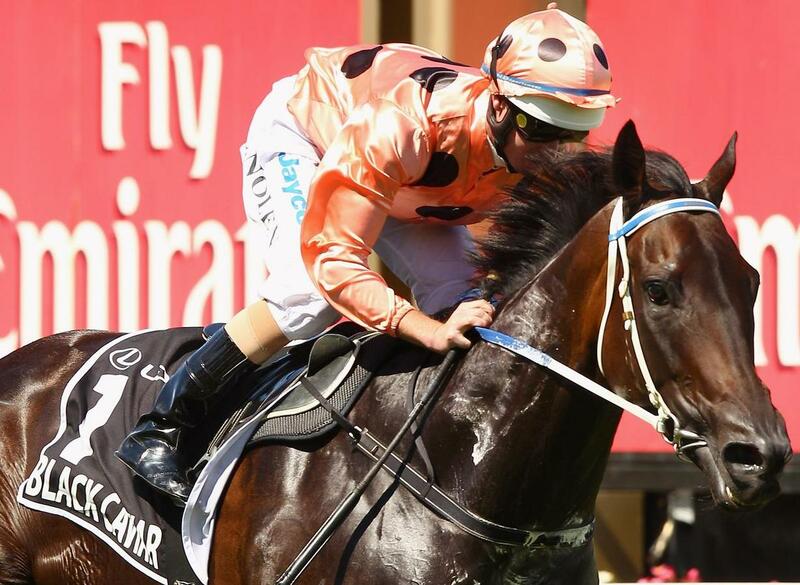 Promising 3-year-old Shamrocker pulled off the Australian Guineas-Australian Derby double. Other great winning open company performances were put in by Typhoon Tracy (Orr), More Joyous (Futurity), Beaded (Doomben 10,000), Secret Admirer (Epsom) and Ortensia (Winterbottom). Staying in the Southern hemisphere, it’s notable that three of the four biggest G1 open company races on the South African calendar were captured by fillies: Mother Russia (J&B Met), Igugu (Vodacom Durban July) and Dancewiththedevil (International Summer Cup). After winning the top German G1 races (Grosser Preis von Berlin and Grosser Preis von Baden), Danedream dominated the FR-G1 Prix de L’Arc de Triomphe—a race where the top three placings were fleshed out by fillies. The same kind of trifecta sweep happened in the 15.5 furlong Prix Royal-Oak, won by Be Fabulous. Margot Did gave jockey Hayley Turner her second career G1 win in the Nunthorpe, while juvenile La Collina defeated two subsequent G1-winning colts in the Phoenix Stakes. Maybe she wasn’t quite her glorious self this year, but Goldikova still won the Prix D’Ispahan, and finished behind upcoming filly Immortal Verse in the Prix Jacques Le Marois. In Canada, Inglorious captured the Queen’s Plate, while Sarah Lynx shocked the Canadian International. All told, at least 463 times in 2011 fillies and mares won or placed in group/graded stakes races worldwide—that’s another huge increase over last year’s number (380). Of those, 151 were at the highest (G1) level, including 53 G1 victories, all of which are recorded in the spreadsheet found in this blog’s left-hand column. Do Dams Trump Sires in Kentucky Derby Winners? Does I’ll Have Another Have the Right Dam Stuff?